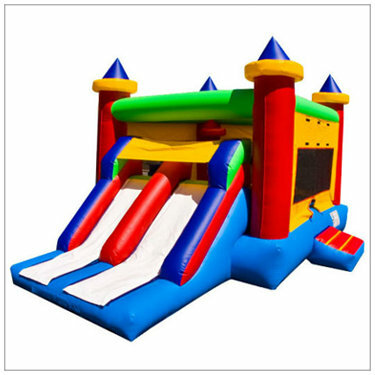 The Dual Castle Camp Bounce House with its Double Slide will bring joy to all kid's of any age. Upon entering this inflatable, you will find a very spacious 15' x 15' bounce area, a basketball hoop for your sports lovers, a climbing wall, and a double slide, so multiple kids can enjoy sliding at the same time. 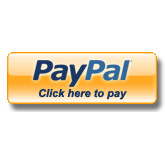 Our Inflatable fun house offers the excitement and fun for your next event. With a 13' x 13' bounce area it's a perfect bounce house for those tight yards. It is designed to save space while providing enjoyment and fun for your party.